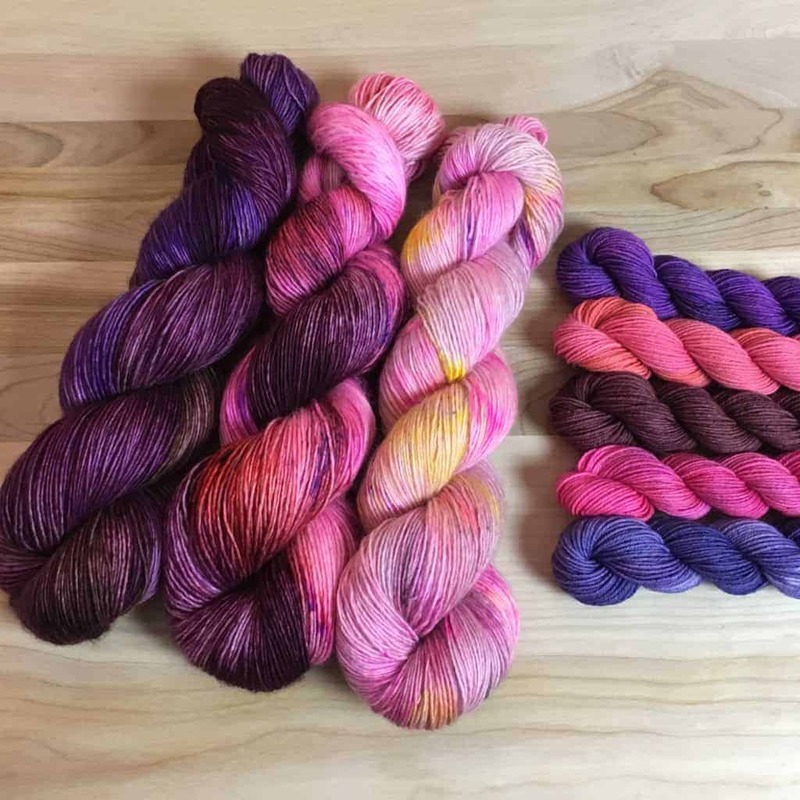 Stephanie of Asylum Fibers has created a few kits for Speckle and Pop, Stephen West’s mystery KAL, which launches Sept. 29. The shawl calls for a speckled fade of three colors, along with five mini “pop” skeins. One of the kits is already sold out, so grab yours if you want Stephen to take you on a colorful journey. Julia of Pandia’s Jewels, based in the Hudson Valley — which is gorgeous year round, but particularly in the fall — has launched her Fall into Halloween Collection. It includes some old and new seasonal colors, both speckled and tonal, as well as some OOAK dye jobs. We of course consider hand-dyed yarn works of art, but here’s yarn that is truly art inspired. 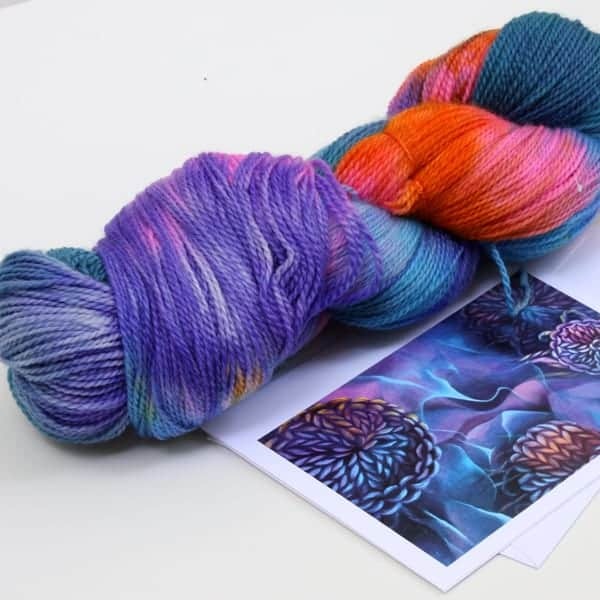 Lisa The Knitting Artist has started dyeing up gorgeous hand-painted and tonal yarns to match her equally gorgeous knitting-inspired paintings. The hand-painted yarn comes with a card printed with the image that inspired the colorway. You have through the end of the day today to preorder La Bien Aimée’s Automne à Rhinebeck, Asylum Fibers’ Rhinebeck’s All the Craze and Eloise Narrigan-designed tote bags for pickup at the the Indie Untangled Rhinebeck Trunk Show on Oct. 20. 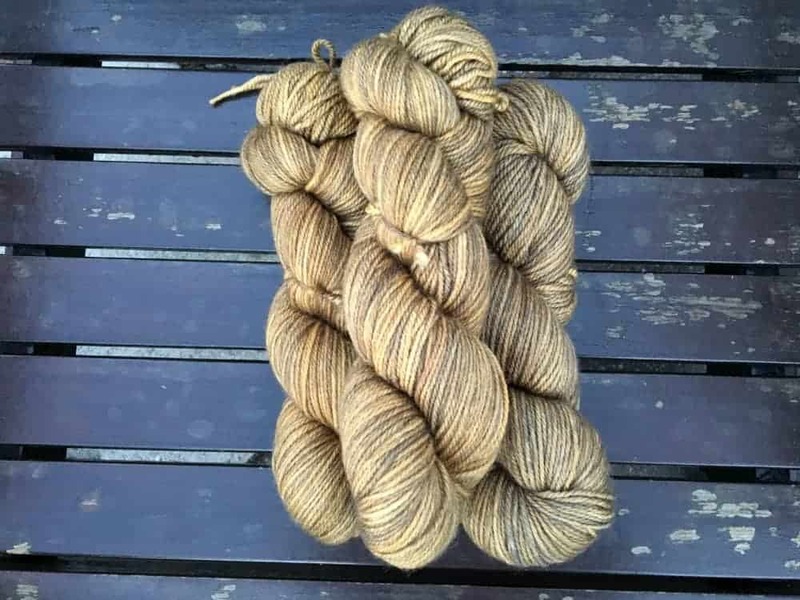 There are still a few skeins left of The Woolen Rabbit Silky Biffle BFL/silk sport in Corn Husk, which would be perfect for a fall shawl, hat or mitts. 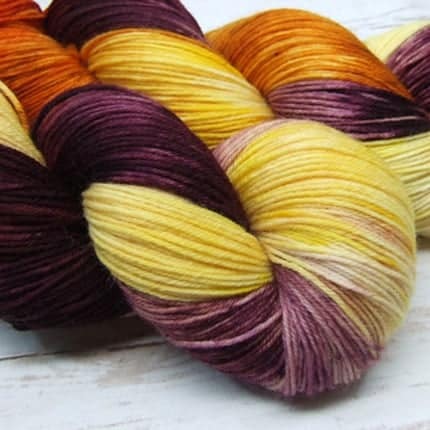 Use the code YAYRHINEBECK for 20% off through Oct. 1, or until the yarn is sold out. 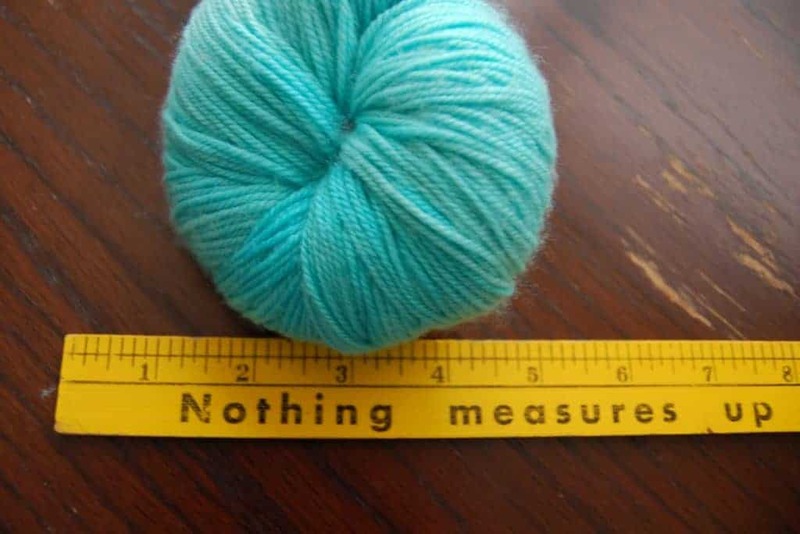 This entry was posted in What to Stash and tagged discount, dyeing, KAL, limited, MKAL, OOAK, pre-orders, rhinebeck, rhinebeck trunk show, shawls, stephen west, yarn.